Ideal for use inside and out on bare woodwork, hardboard, masonry, dry plaster and cement. It dries quickly, so you can apply a second coat soon after, enabling you to finish a whole job in one day. 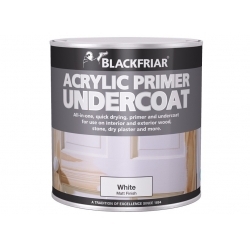 An all-in-one primer and undercoat that is the perfect preparation for Blackfriar Metal Paint. 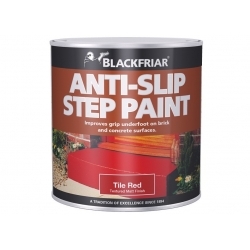 Blackfriar Anti-Slip Step Paint is specially designed for steps, contains an aggregate that helps to reduce the risk of slipping, while providing an attractive hardwearing finish. Penetrates deep into wood, providing an attractive ruby tint with a light gloss finish. 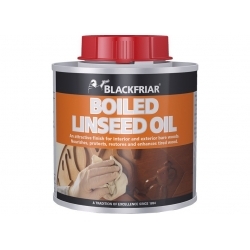 Blackfriar Boiled Linseed Oil can be used inside and outside and is ideal for bare woods except oak, and is also useful for softening metal glazing putty. Blackfriar Button Polish can be used on new, stained, or previously French Polished wood for a classic look. 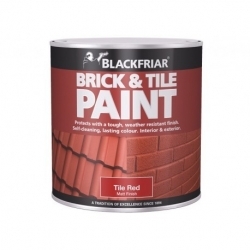 Specialising in paints and wood varnishes for over one hundred years, many of Blackfriar's paints and products can be at Rawlins Paints. From Fungi-Shield Hygienic Kitchen Paints to wood-dye and Danish Oil to quick drying white radiator paint, Blackfriar's are at the forefront of brands working within large scale DIY projects. 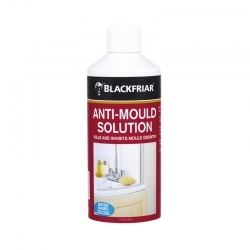 With an extensive range of Fungi-Shield products available here online, no bathroom renovation work should be commenced without stocking up on a tin of Blackfriar's paint. 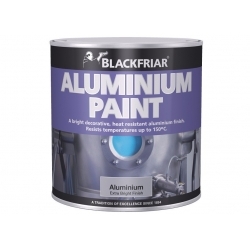 It's not just household jobs that Blackfriar offer products for, this brand can regulary be found in janitor's storerooms at schools, with their excellent blackboard paint. For those needing a mutli-purpose primer for a wide range of surfaces, again, this brand makes any chose a pleasure. 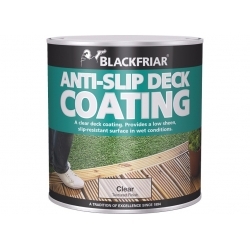 As well as being interior specialists, Blackfriar's external products are just as essential to an avid DIY fan. From exterior woodstain to wood preservative, whenever an outdoor space needs some TLC, there is a product here perfect for the job. 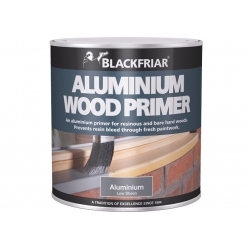 For painting door knockers or house-numbers, Blackfriar's enamel paint is hard-wearing and weather resistant. Areas that in close proximity to water and moisture should be treated with an exterior water seal to minimise water damage risk externally and internally, with damp spots. To stand out from your neighbours, try rejuvinating external/front doors with a high gloss paint, in a range of colours from black to white, and Red Poppy to Oxford Blue.